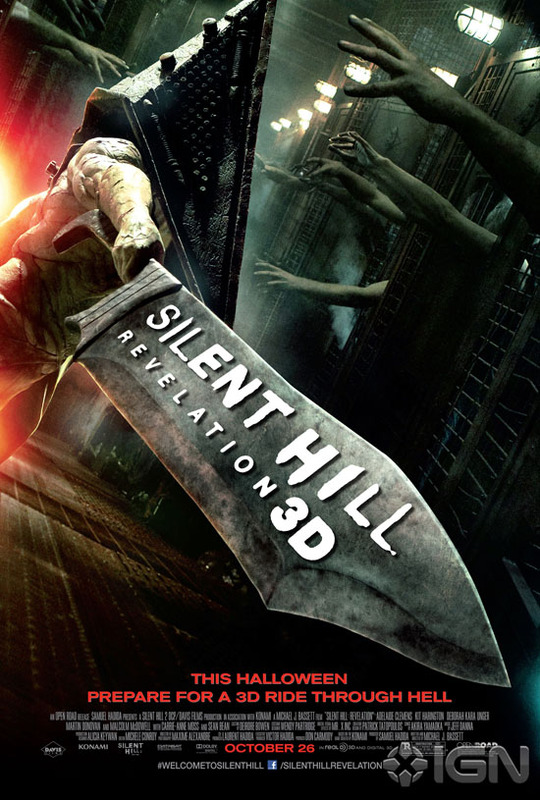 Open Road Films Release First Poster for 'SILENT HILL: REVELATION 3D'! Open Road Films have released the Poster for their Silent Hill: Revelation 3D, the movie written & directed Michael J. Bassett stars Adelaide Clemens, Sean Bean, Kit Harington, Radha Mitchell, Deborah Kara Unger, Carrie-Ann Moss, Malcolm McDowell, Martin Donovan & Heather Marks. In this latest installment of the successful video game adaption the story follows Heather Mason, along with her father, who have been on the run - always one step ahead of dangerous forces that she doesn't fully understand. Now, on the eve of her 18th birthday, plagued by horrific nightmares and the disappearance of her father, Heather discovers she's not who she thinks she is. The revelation leads her deeper into a demonic world that threatens to trap her in Silent Hill forever. The movie hits theaters this October 26th. Poster via IGN. Click here to check out the trailer. I'm reading: Open Road Films Release First Poster for 'SILENT HILL: REVELATION 3D'!Tweet this!